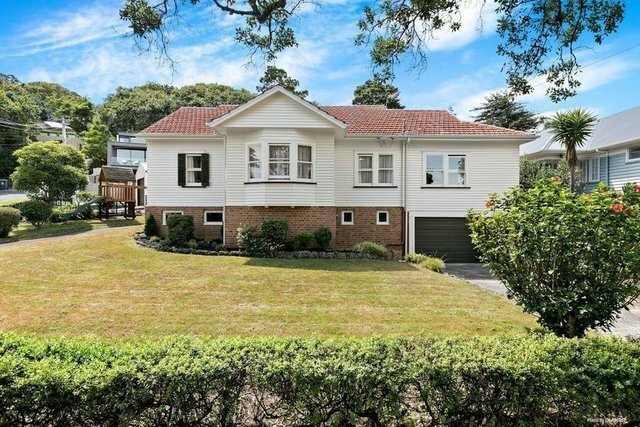 Just a short stroll from Cornwall Park in a quiet cul de sac, this handsome and spacious bungalow on 827sqm has a lot to offer. There are four double bedrooms, an office and two generous separate living areas. The large gourmet kitchen adjoins casual open plan living and dining plus a separate formal dining or fifth bedroom. There is seamless indoor outdoor flow to the deck and lawn and the grounds surrounding the house offer plenty of space for children and pets. Downstairs you will love the added bonus of internal access garaging (plus a separate freestanding garage) and a huge rumpus area ripe for your own decorating ideas. Handy to all that Greenwoods Corner and Royal Oak have to offer, it is also a short commute to the airport. Seriously for sale, this is an opportunity too good to miss.